Surfing! That’s a topic I have introduced to my blog before but not talked too much about yet. Well, surfing’s a big part of what I do so you’ll see more of it here in the future. I recently picked up a Lost Stealth FST 6’0″ from a friend. This model is built by Firewire in their FST technology. 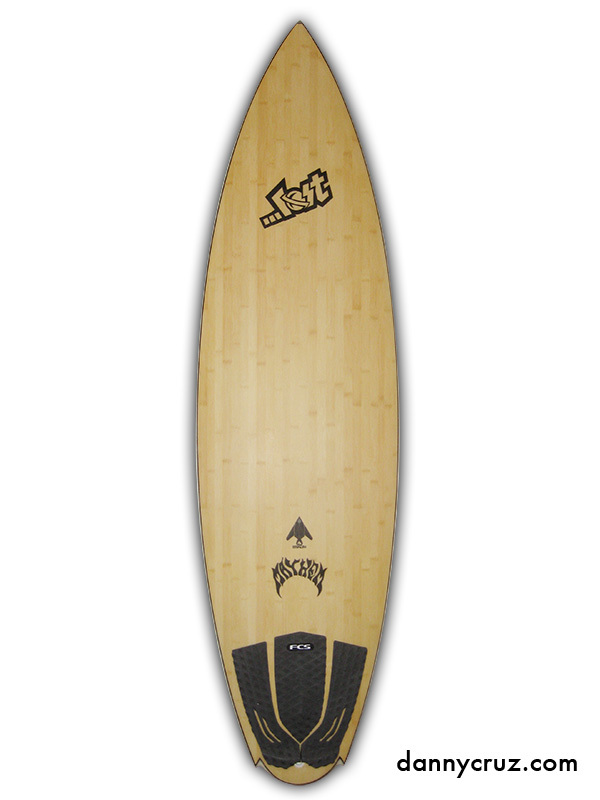 FST is essentially a type of sandwich construction with strong deck and bottom skins and parabolic balsa rails. This makes the board very light and very strong. I’m not going to go much in depth into the construction but if you want to find out more about Firewire tech, go to firewiresurfboards.com. I went with the 6’0″ model with the intention of testing it as well as a 5’10″ before deciding which to keep. I’m 5’10″ 170lbs and I’ve been surfing for 13 years (at the time of this writing). I’ve spent some time jumping in and out of the sport while doing other things, so my skill level is experienced, yet far from pro. On paper, the board size is good for me, but I could go with the smaller 5’10″ to help increase performance in better waves while sacrificing a tad bit of paddling ability and crappy-wave performance. I had a chance to ride the board yesterday at Swamis, Encinitas in the morning and at Grandview for an evening surf. The surf was head-high to a foot or two overhead for both sessions. Still, the evening conditions at Grandview were much cleaner than Swamis in the morning. The board handled better than I originally expected. It felt long, but that’s only because I’ve been riding small 5’10″ and 5’8″ fishes lately, not to mention my 5’6″ quadfish! The board is quite responsive as a quad and turns really well. It floats a lot for its size and paddles better than most shortboards but not as well as some true grovellers. I wouldn’t feel comfortable with it in a big pitching or barreling wave but for most of the stuff around here it’s superb. Did I say the board is FAST? It’s a little speed rocket! It also cuts through foam beautifully, so I don’t get bogged down or knocked over like on some fatter board that I have. Did I say the board is FAST? It’s a little speed rocket! I found it to be very snappy and quick. I could definitely feel the springiness of the balsa rails. The construction feels really solid. 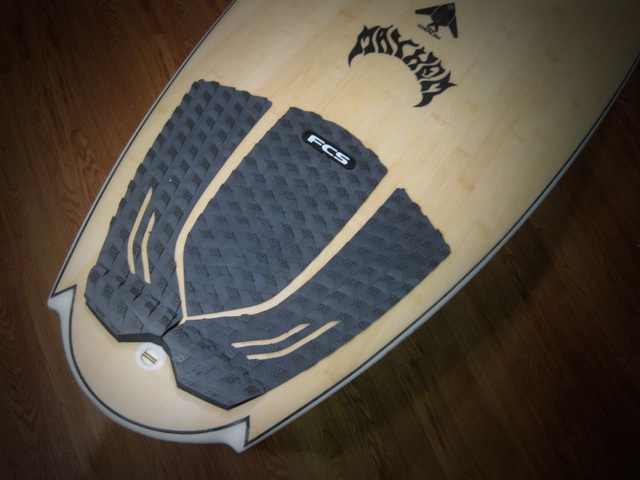 I’ve only ridden it a quad so far with a set of FCS SF4 Performance Core fins. I suspect it rides better that way. It turns more like a thruster than any other quad I’ve surfed before. 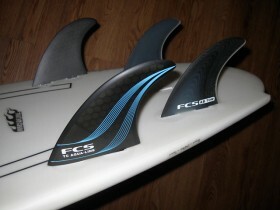 I’m ready to try other fin combos on it very soon. 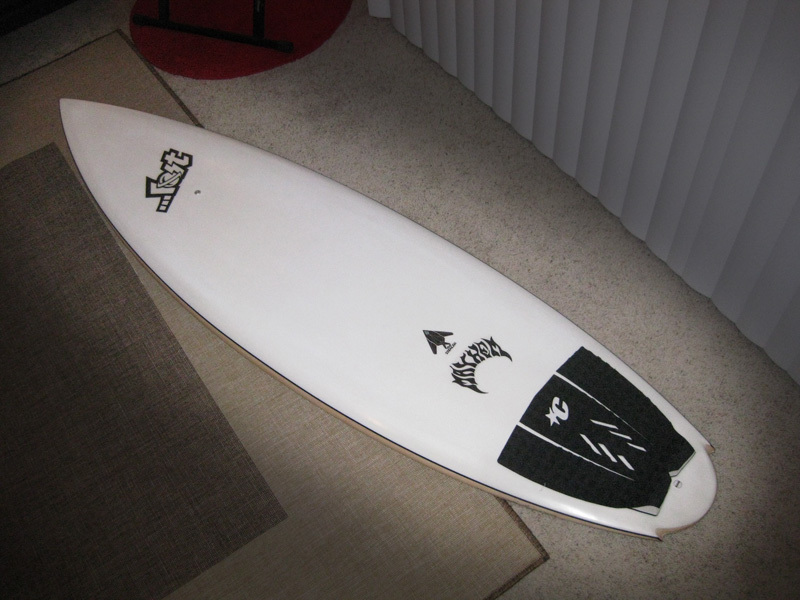 I’m going to be riding it for the next couple weeks and try and get a hold of a smaller 5’10″ model after that. I’m pretty sure I can squeeze more responsiveness out of a slightly smaller model without losing too much paddling ability. Overall, the Lost Stealth in Firewire FST construction is truly an awesome little board!